Learn more about the unceded Algonquin territory we call home, and the people of these and neighbouring lands. Indigenous Knowledge: What Does it Offer Human Beings? 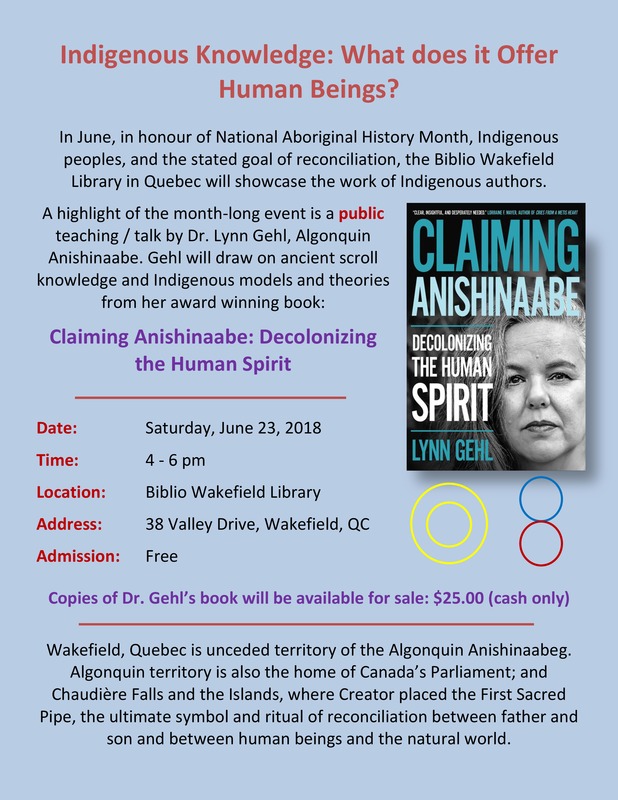 At this talk, Dr. Lynn Gehl, Algonquin Anishinaabe, will share Indigenous knowledge and teachings, drawing from her book Claiming Anishinaabe: Decolonizing the Human Spirit. This free event is on Saturday, Jun. 23 from 4-6 p.m. at the Biblio Wakefield Library. Find details on the event page. 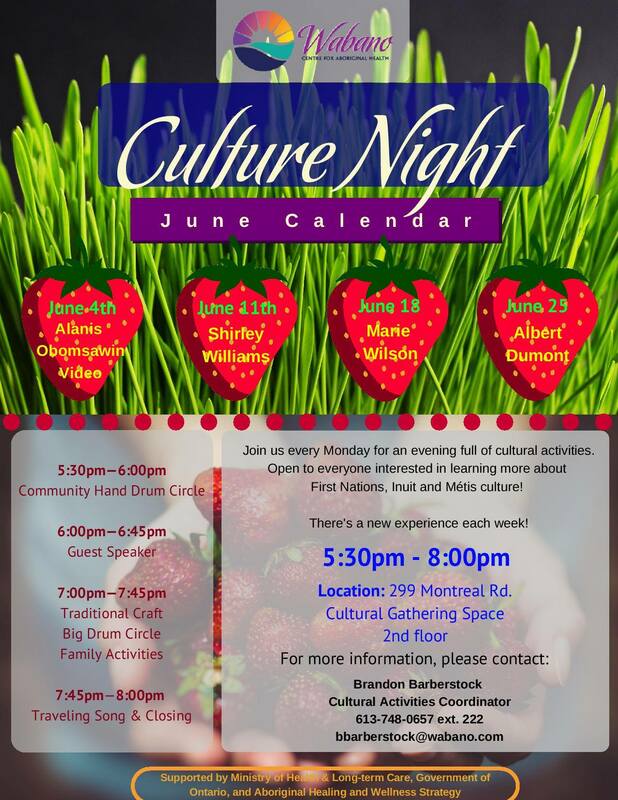 Don’t miss the Summer Solstice Indigenous Festival. This annual festival celebrating the cultures and contributions of First Nations, Inuit and Metis peoples offers an array of arts and cultural activities, food, music, family activities, a competition Pow Wow and much more. From Thursday, Jun. 21 through Sunday, Jun. 24 in Vincent Massey Park.